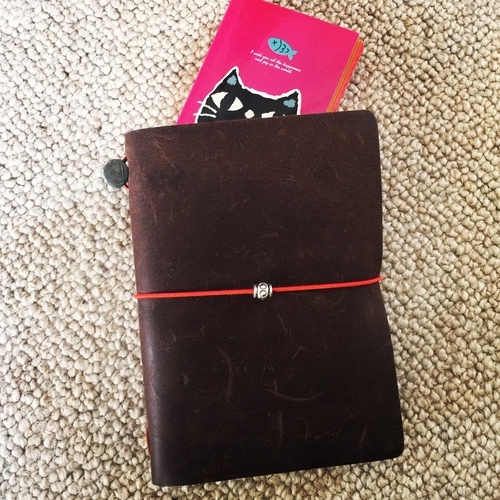 My first traveler’s notebook, a Raydori… love it to pieces! 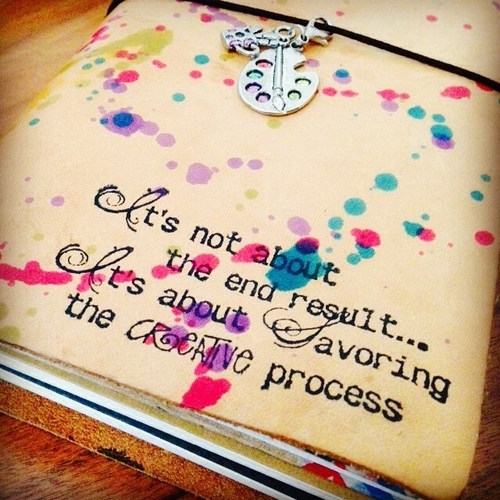 Initially, I tried going the whole hog with scrapbooking and smashbooking and what have you… it was fun at first – I’d once considered a publishing job and still love looking at good layouts and presentations. The problem was that this hobby consumed my every being to the extent that I was close to making the Dad Man and the kids forage for their meals. It didn’t help that my latent OCD tendencies slowly but surely kicked in – I kept wanting to rip out pages because they didn’t look right. I kept analyzing the handwriting, the alignments, the colours… it all became very very overwhelming, self-defeating and a complete waste of time. That foolishness clearly had to go and alhamdulillah I kicked it to the kerb. 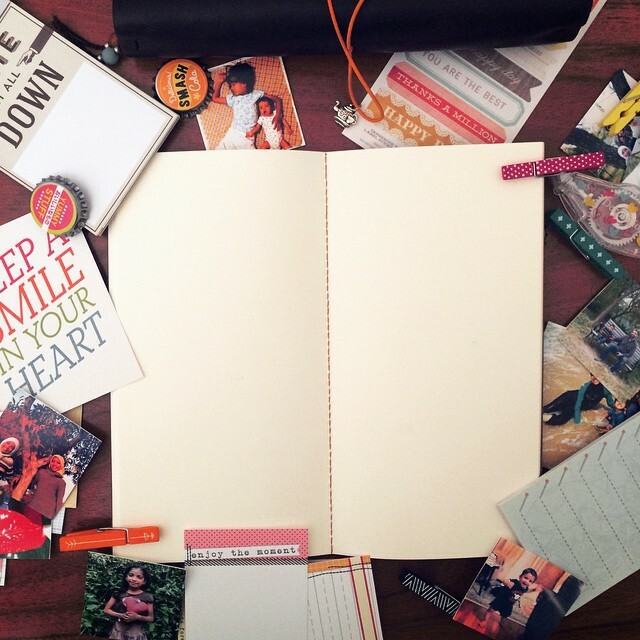 Me and my insane attempts at scrapbooking… the dreaded blank page when no inspiration kicks in! I use a leather notebook. For the uninitiated (and you folks simply MUST join us on the dark side! ), this is a leather cover with 2 to 4 (or more if you are crazy that way!) elastic bands inside it to hold notebooks. The original/most popular was made by the Midori Company and simply referred to as the “Midori”. 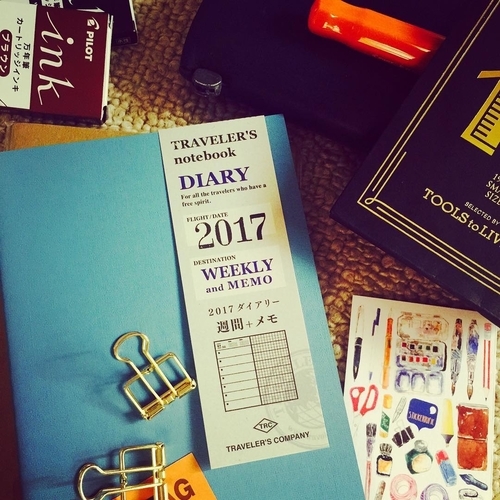 It now has its own brand name and is called the “Traveler’s Notebook”. (I think “Midori” is a much prettier name, don’t you? The kids and I still call our notebooks “dories”.) The TNs gave birth to numerous DIY versions by other leather craftsmen – these are affectionately called “fauxdoris” or are named by their makers. My first dori, purchased a few years ago, was made by Ray Blake and it is called a “Raydori”. The TN can hold several notebooks, so each insert can be used for different purposes. I have one insert for a weekly planner, one for a diary/journal, one for my Islamic learning, one for a commonplace book and one for my homeschooling ideas/notes. 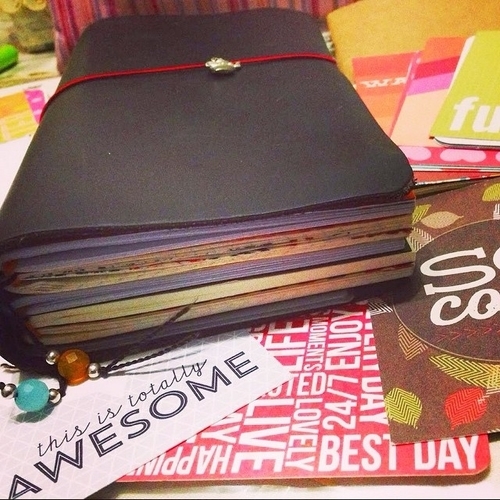 Once a notebook is full, I can store it and put another in its place. 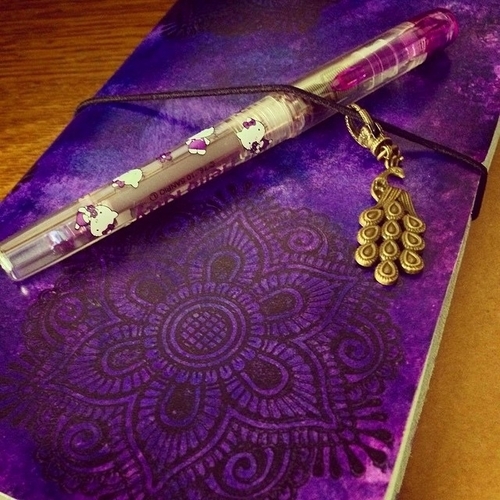 It’s all wonderfully portable so I can use it anytime and anywhere – I love looking through my journals when I am out and about. The best bit about these babies though? The leather. There is something simply intoxicating about well made leather goods… they are just WICKED! 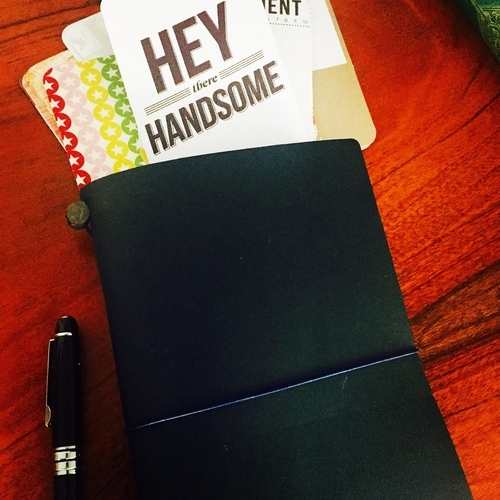 My blue Traveler’s Notebook… ain’t he a beauty? 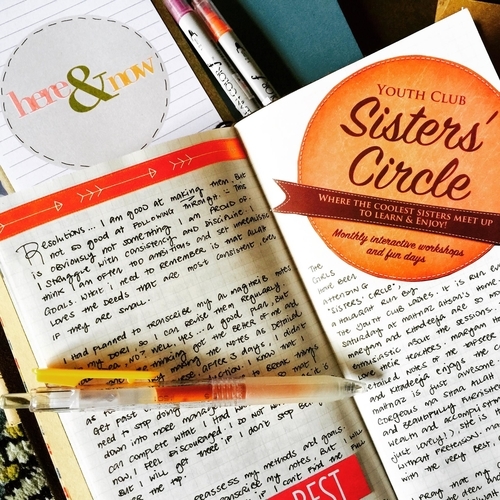 I’ve grown to depend on my notebooks for my homeschooling days – Marz is now preparing for her IGCSEs, so a few notebooks have gone into English Literature notes and lesson plans. I am also moving into Islamic Journaling – I have been copying words of remembrance/adhkaar and trying to memorise them. (I really must work harder on this!) 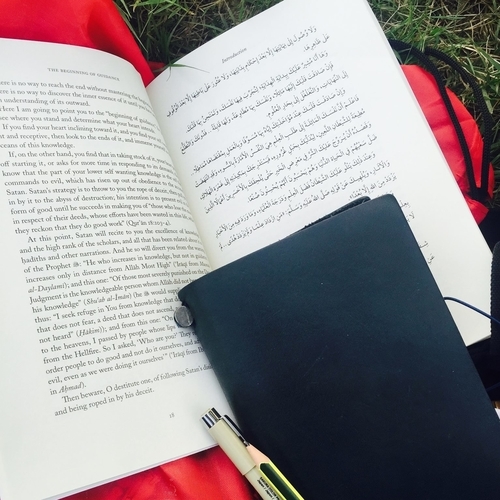 I am also going into Quran journaling, for the simple reason that it is high time – I need to organize all my notes and random scribbles into something more ‘coherent’ and systematic! Studying and journaling at the park while Peep has football practice. 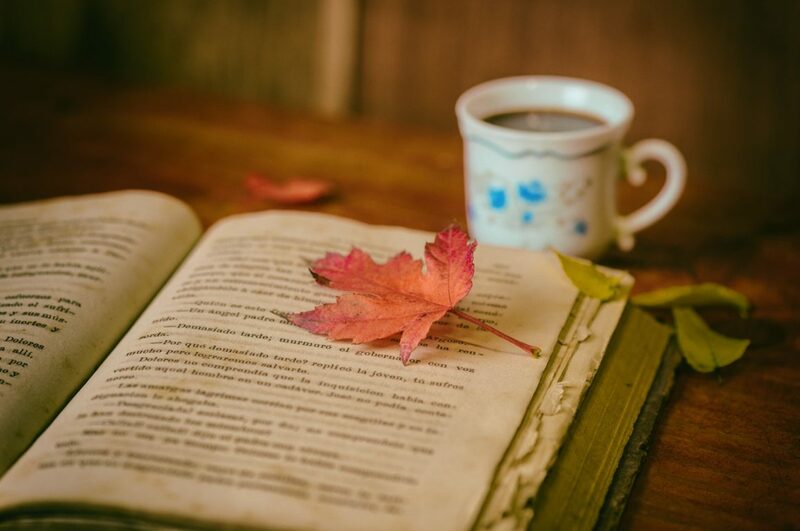 “Knowledge is a comforting friend in times of loneliness, it is the best companion during travels, and it is the inner friend who speaks to you in your privacy. Knowledge is the discerning proof of what is right and what is wrong, and it is the positive force that will help you surmount the trials of comfort, as well as those of hardships. Knowledge is your most powerful sword against your enemy, and finally, it is your most dignifying raiment in the company of your close companions.